USCIS Reviewing Vast Majority of Previously Denied Provisional Waiver Applications | Minsky, McCormick & Hallagan, P.C. U.S. Citizenship & Immigration Services (USCIS) has released new numbers on its approvals, denials, and applications under review for Form I-601A, Application for a Provisional Unlawful Presence Waiver. The provisional waiver allows those who are eligible for residency but require a waiver to forgive their unlawful presence to apply for the waiver before leaving the U.S. for their interview at the embassy abroad. From March 2013 to May 2014, over 54,000 provisional waivers have been filed with USCIS. Of those, 42,000 provisional waivers were accepted for processing and over 16,000 have already been approved. These numbers also include USCIS action on incorrectly denied applications that are now being reopened and reconsidered after USCIS issued updated guidance on January 24, 2014 regarding provisional waiver applications for applicants with a criminal history. Check out our analysis of the updated guidance here. Prior to the change in guidance, USCIS denied many applications if the applicant had any criminal history, regardless of whether or not that history made them ineligible for permanent residence status. USCIS had been operating under the assumption that if they had any “reason to believe” that the applicant could be ineligible for permanent residence status, they should deny the waiver application. Recognizing that many denied applicants would be eligible for permanent resident status despite prior criminal issues, USCIS released new guidance and began reopening and reconsidering those previously denied applications. USCIS’s new numbers show that they have reopened a total of 1,190 applications: those that were previously denied due to the applicant’s criminal history, even when the applicant was still eligible for permanent resident status (i.e. eligible for residency without needing a waiver for that criminal history). The number of reopened cases constitutes 99.7% of all applications denied prior to the USCIS change in the “reason to believe” standard. 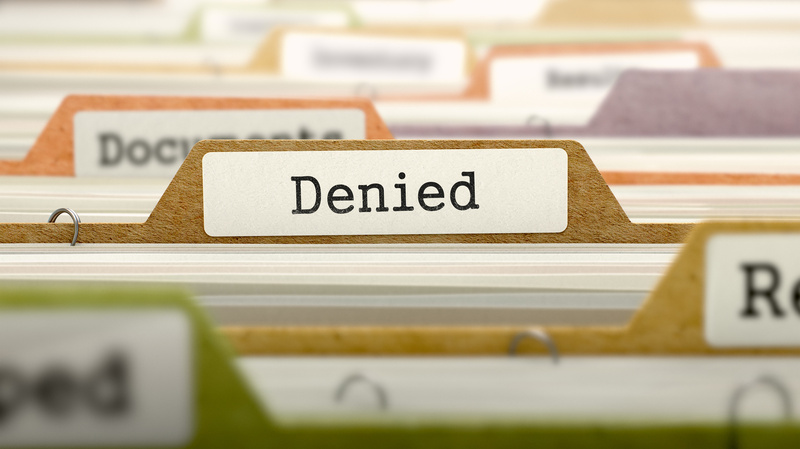 Of the applications that have been reopened, almost 47% have been approved, about 40% were denied, and almost 24% received requests for additional information. What is the provisional waiver and who can apply? Since March 4, 2013, certain spouses and adult children of U.S. citizens have been eligible to apply for a provisional waiver with the USCIS prior to going abroad to apply for an immigrant visa (i.e. residency or green card) at a U.S. Consulate. Individuals who need this waiver are otherwise eligible for residency but require a waiver to forgive their unlawful presence (ie. being in the US without authorization, after having entered without authorization from the US government, or after violating or overstaying their visa). The I-601A allows certain individuals to apply for the waiver prior to departing the U.S. for their immigrant visa interview at the U.S. consulate in their home country, preventing long periods of separation from their families. For more information on the provisional waiver, check out our previous post discussing the eligibility criteria for an I-601A waiver. Please contact an immigration attorney at Minsky, McCormick & Hallagan, P.C. if you or someone you know may benefit from an I-601A provisional waiver, especially if there are criminal issues involved.